The charms of Laconia! Having Menelaion Hotel as a starting point, Laconia invites you to explore its beauties. 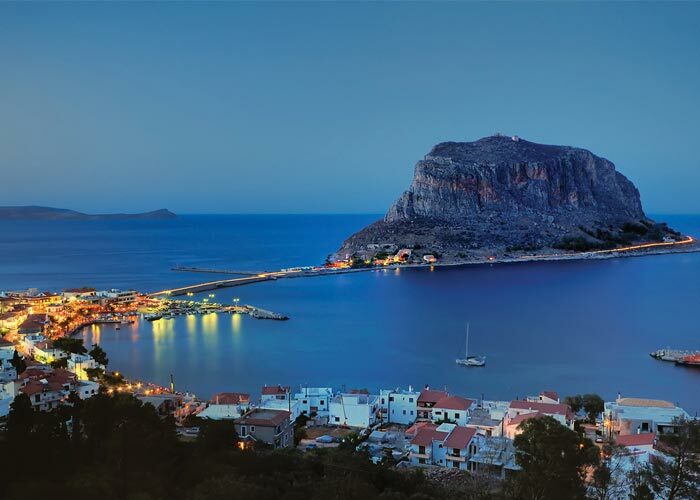 Monemvasia, Elafonissos, Gytheio, Mani, Diros Caves. Whether you want to relax at the city of Sparti, or take a sightseeing around the region or you want to swim, hotel Menelaion at Sparti, offers you all choices. Mystras used to be the Byzantine state of the Peloponnese and it is located at 6 km Northwest of Sparta. Today it is a ramshackle place even though some edifices have been restored, like the palaces. It constitutes a valuable source of knowledge about the history, the arts and the civilization of the last two Byzantine centuries. 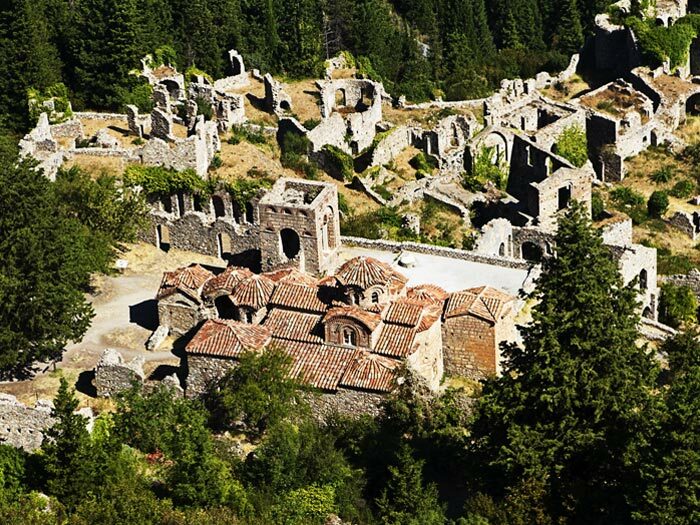 The history of what is today the “dead city” of Mystras begins in the mid-13th century when the conquest of the Peloponnese from the Francs was complete. In1249, William Villehardouin II built his castle on the east side of Taygetus, on the top of a steep and pineal hill which was called Mystras or Myzithras, either because of its shape or due to its former owner, whose name was Myzithras. 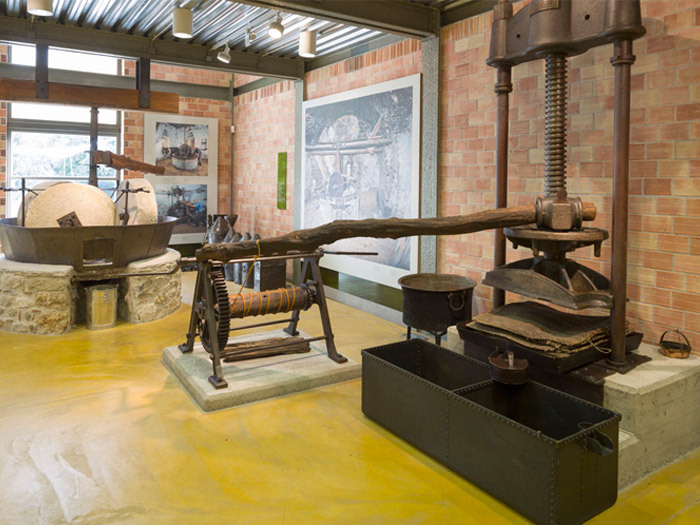 The olive tree and olive oil museum in Sparta can travel you through the culture, the history and the technology of the oil tree and the olive oil production in Greece, from the pre-historic times until the beginning of the 20th century. The aim of the museum is to shed light on the close connection of the olive tree with the identity of this place and with the Mediterranean area in general. Olives and olive oil are presented here under different perspectives: economy, nutrition and other kinds of use, religious worship, art and technology. Sparta (Sparta in the Doric dialect or Sparti in the Attic dialect) in Ancient Greece was a city-state which was built around the banks of the river Evrotas, in Laconia, in the southeastern part of the Peloponnese. It has been famous in the global history for its military strength, its discipline, its heroism and its numerous slaves. Moreover, the city is famous in Greek Mythology, mostly because of the Myth of the Beautiful Helen. The military strength of Sparta was developed due to the pedagogic system imposed by the lawmaker Lykourgos, which was unique in Ancient Sparta. The historic period of Sparta begins after the Descent of the Dorians, around 1100 B.C. (even though archaeologists hold that this happened later) and ends during the Roman Years. 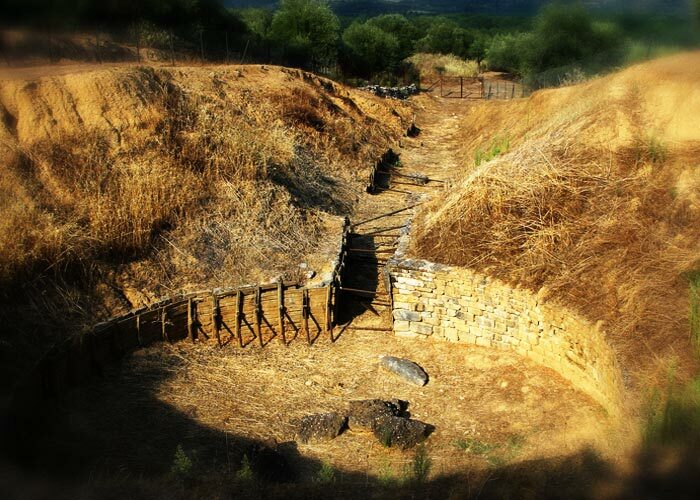 However, there is evidence of the effect of the Mycenae civilization in this area long before the arrival of the Dorians and this is considered to be the pre-historic period of Sparta. 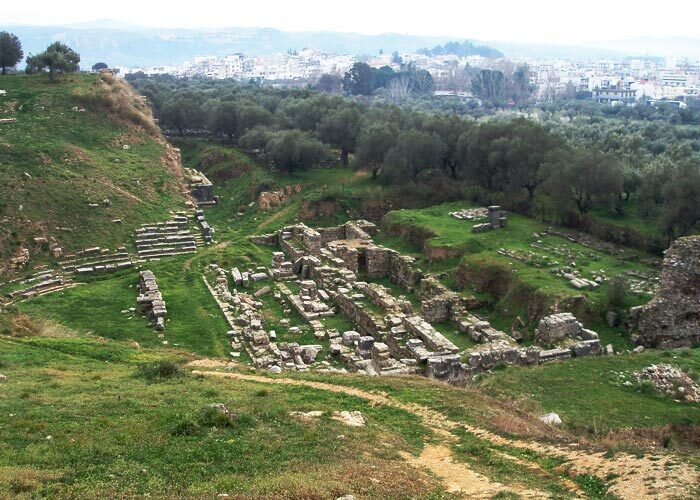 During the classical times, Sparta, along with Athens, constituted the two most powerful city-states. 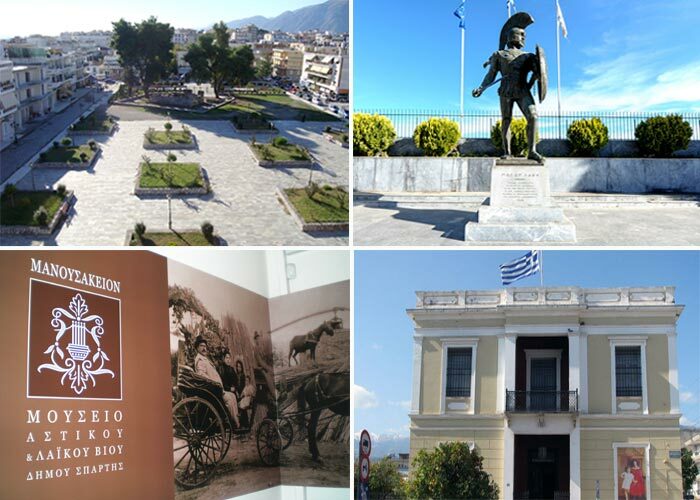 Sparta is still today a popular attraction thanks to its rich history. In the north part of the modern city of Sparta, some digs of the previous centuries have brought to life an impressive edifice with dimensions 12,5x 8, 30 meters. The building is dated in the 5th century B.C or before and has been built with big limestones. The dig was done in 1892 by Wallenstein, who had originally considered it to be a small temple. Even though its use has not been ascertained yet, it has been identified in the folk wisdom with Leonidas’ cenotaph. Pausanias mentioned that the bones of the legendary king of Sparta had been brought and buried here. Leonidas’ cenotaph constitutes the only monument of the Ancient Market to be saved until this day. His sacrifice in the battle of Thermopylae has changed, according to European Historians, the course of European history since it dispelled the myth of the invincible adversary and encouraged the resistance of the Greek states, forestalling at the same time their surrendering without a fight. In parallel, it set an example that has been imitated by different people in different historic times. Koumantarios Gallery of Sparta is housed in a well-preserved, neoclassical 20th century mansion. It was donated by Dolly Goulandris and her brother Georgios Koumantaros in honour of their art lover father Ioannis Koumantaros, whose dream was to found a gallery in his hometown. The gallery was inaugurated in 1982 and operates as a branch of the National Gallery. It includes a permanent exhibition of fourteen oil paintings of west European painters of the last two 16th century till the early 20th century-all donations of Ioannis Koumantaros. The numbers of the exhibited paintings is small; however they depict the flourishing evolution of portrait, landscape painting, character painting and still life. There are also periodical exhibitions with works of the National Gallery. Their aim is to familiarize the visitors with Modern Greek painting so, hosting exhibitions is very important for the local community. Manousakio Museum of urban and folk life was donated by Leonidas Meletiou Manousakis who, in 1996 gave to the municipality of Sparta his house along with all the furniture, appliances, clothes, photograph collection, ottoman banner etc. It is housed in the two story neoclassical house of the late 20th century, on 13, Ananiou Street in Sparta. Manousakio museum is going to be a pole of attraction for both the local and the foreign visitors, who will have the opportunity, through representations of interior architecture, exhibition and multimedia projections, to get a glimpse of family and social life of another era and of the people who created and lived in the new town of Sparta in the last century. Vafio is an area located at 6 km southeast of Sparta, in Laconia. Here, the famous “treasure of Vafio” was discovered in a big, vaulted, Mycenaean type grave (1500-1450 BC.) with valuable objects made from gold, ivory and precious stones. The treasure can today be found in the Archaeological Museum in Athens. In this grave, the two “cups of Vafio” were revealed, golden cups with depictions of bull hunting that testify to how great skills of metalwork people had at that era. The unique geography of the rock and the human made fortifications coexist in Monemvasia. Like a floating fortress, it was found in the course of maritime commerce between the East and the West. It comes with many names like its masters: Monemvasia, Monemvasea, Malvasia, Malvasoui, Monemvassia , Little Gibraltar and Rock. In the ancient times, it was called "Akra Minoa", as Pausanias describes in the “Laconic” which translates to "Minoan Promontory" and it was linked to a great length with land. In 375 A.D it was cut off from Laconia due to a terrible earthquake and it took the shape we can see today. This is what happened with Elafonissos as well, a little southern. During the middle ages, it was populated, fortified and flourished. Surrounded by bases of pirates and corsairs, Monemvasia would not have survived without the rock. Today, on the rock, two worlds co-exist: the fortified by men “lower town”; it has been built next to the sea, on the southeast side of the rock, with excellently preserved and restored buildings of the unique Greek architecture and the aroma of the Aegean Sea and the stone and the “upper town” ; it has been built in the upper side if the rock, with a view of the Myrtoan sea. It constitutes a natural impregnable fortress, with a lot of ruins and only few buildings to be saved until modern day. The great poet Giannis Ritsos was born and lived in Monemvassia and his tomb can be found outside the walls, in the cemetery of the Rock. Gytheio is a historic town and port, located in the southern part of the Peloponnese, near the mouth of the river Evrotas. The south edge of Gytheio is linked with a small pier to a small island called ancient Cranae or Marathonisi, where Tzanetaki tower, the octagonal Tzanetaki lighthouse ( Cranae’s lighthouse ) and the small church of Aghios Nikolaos can be found. Modern Gytheio is raised in the shape of an amphitheater of the east foot of the mount Larysio , which is called by the locals “Akoumaros” or “Koumaros “, just above the main port, which is considered the safest in the southeastern Peloponnese and from which export of citrus fruit (mostly oranges), oil and olives is made. Its famous beaches Mavrovouni, Ageranos, attract hundreds of tourists every year as they constitute, among other things, a shelter of the Caretta Caretta sea turtle. Mani is the historic area of the Peloponnese that covers the peninsula of Taygetus, since the Greek Revolution started there. Leaving Gytheio, the landscape changes, it becomes wilder, and you can see breathtaking scenery made from stone, air and water. Small, picturesque villages spring up behind rocks, inviting visitors to explore them. Areopolis, Vatheia, Kotronas, Flomochori , and going further south, Porto Kayio and Marmari, until one reaches the furthest south part, Tainaro cape. Before arriving to the cape, we have to stop and visit the Diros caves. 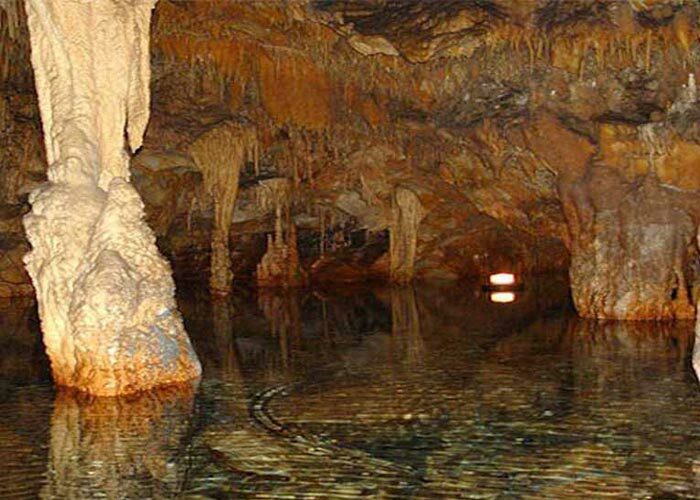 Glyfada (or Vlychada) cave of Diros is one of the most beautiful caves in the world. 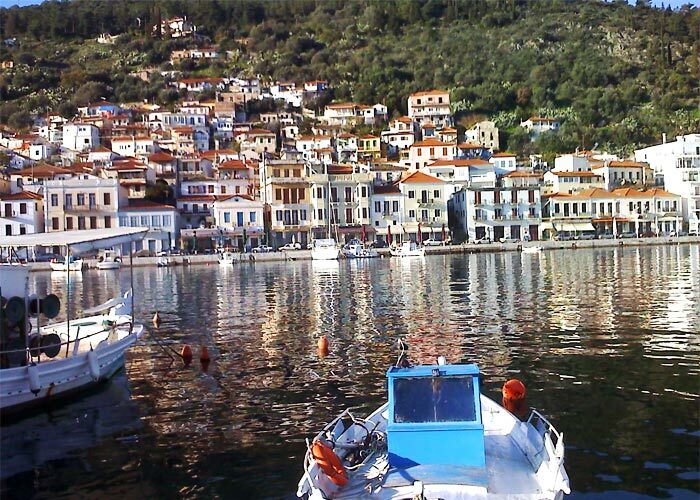 It is located in the west coast of the Laconic Peninsula, in Diros bay in Oitylo. Its existence has been known to the locals since 1900. But nobody could have suspected the miracle which was hidden in its inner part until 1949, when the founders of the Greek speleological company, Giannis and Anna Petrocheilou , began to systematically explore the cave. Until 1960, 1.600 meters had been explored and charted whereas today, the known length of the cave is more than 15km. The first underwater exploration was performed in 1970. The renowned beach of Simos, with its paramount natural beauty, has made this small island which is located in the south part of Laconia, famous in the modern day. In the south of the island, in the area of Lefki, there is the internationally famous Simos beach. The beach is divided by Sarakiniko, forming two bays, Sarakiniko bay (long beach) which extends until Kournospila and Fragos bay (short beach) which extends until Frago. 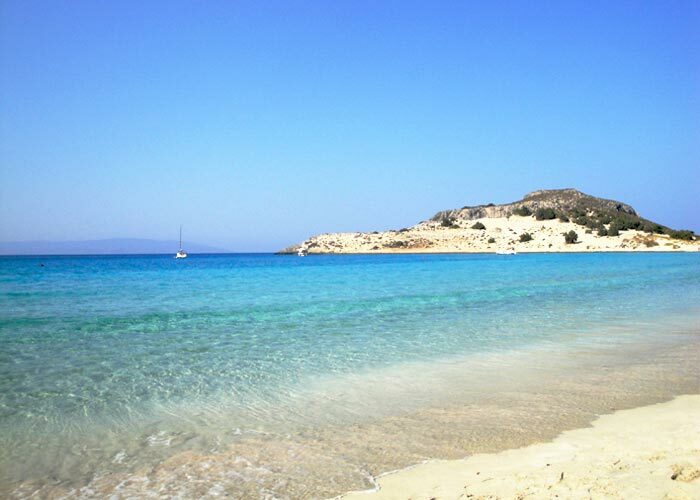 The endless beach of Simos has fine, golden sand and 10m-high dunes. The forest with the cedar trees extends lengthily, joining the two beaches. The beach was named after the sponge-diver from Kalymnos who drowned near Frangos bay. The beach is protected by Natura 2000.